The premise looked really promising: a simple state machine for matching encoder state transitions and some lightweight code. Unfortunately the library behaved rather oddly. The first step was always missed and transitioning from one direction to another would also miss a step. Looking at the code it seemed that the state transition table was incorrect in some way, but for the life of me I couldn't reverse engineer the logic as the transitions seemed counter intuitive. I decided to recreate the table from first principles so that I would completely understand the logic behind the idea and ended up with a solution that seems to work without error which I will explain below. Firstly some basic theory. Rotary encoders generally have two output pins and a common pin. Mechanical Rotary Encoder, center pin is common. At the point of the final transition, the pattern has been matched and we should emit a Clockwise Event. At the point of the final transition, the pattern has been matched and we should emit a Counter Clockwise Event. "When in the final state and transitioning to the start state, emit the direction"
Till next time, hack on! Well the Tapuino is out in the wild and has been successfully built by another user! Write support! This was a killer but finally works... if you have a FAST SD Card. Also, I put in the 5V and GND lines that were missing before. Write support has been tested with some simple BASIC save files and also via the Elite save game mechanism and all appears well. Files are written to TAP format in a folder on the root of the SD Card called "Recorded" (this folder will be auto-created for you) and have the filename "rec-XXXX.tap" where XXXX is a 4 digit decimal number. Button repeat functionality for scrolling through long lists of files. A name input mechanism for naming recorded files. 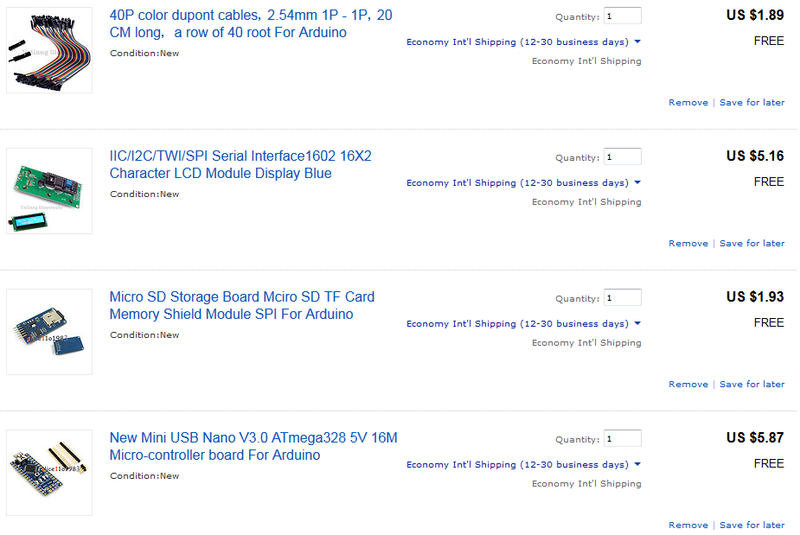 Having detailed the Tapuino in my last post, its now time to get down to the specifics of how to build one. 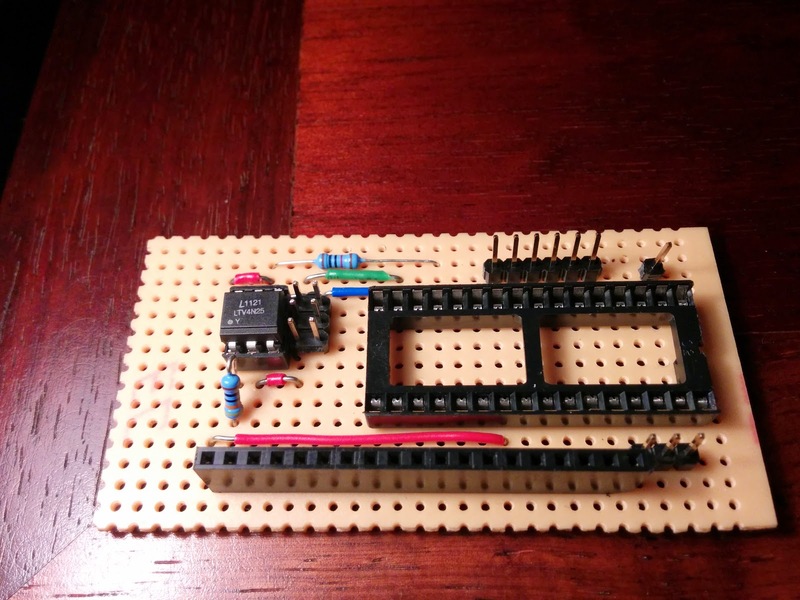 In keeping with the low-cost requirement I developed the initial prototype on a breadboard and then moved that design onto strip or vero board. The vero board based construction will eventually live in a nice neat project box (when I finally get there). DISCLAIMER: If you build this and it blows up your C64, sets your house on fire, kidnaps your dog or any other negative occurrence, I take no responsibility or liability whatsoever. That said I will do my best to help troubleshoot any builds. Note the minimum dimensions of the board: 26x15. 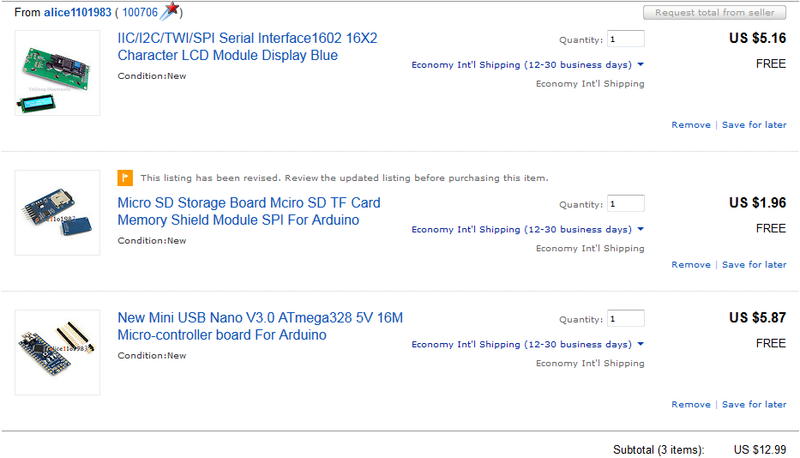 You may wish to make the board larger to allow for mounting holes. Green blocks = straight header pins. The lighter yellow bits are where the vero board has been cut. It is essential that you check that these tracks are cut properly. Use a multimeter to test for continuity between the tracks once cut. To cut the tracks on my prototype I used a small sharp drill bit that was luckily a perfect fit. Please take note of the cut track between the two pins of R2. Feel free to extend the pin headers to access additional pins on the Nano if you like, I just wanted to keep it simple for wire-up later and expose only the pins necessary. Note the minimum dimensions of the board: 22 x 21. 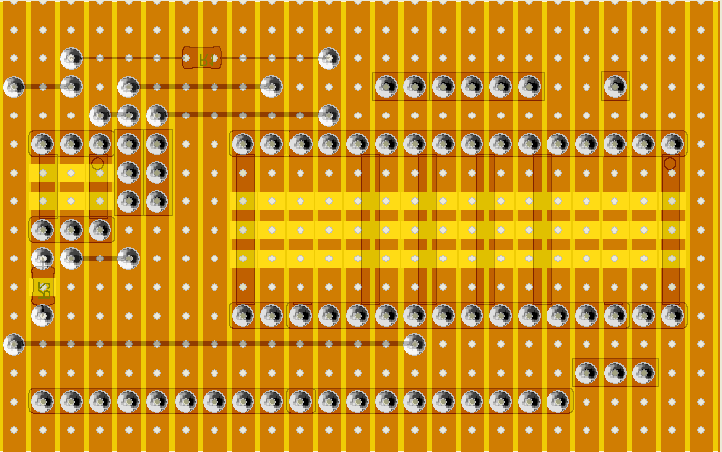 You may wish to make the board larger to allow for mounting holes. Green pin headers are right angle. power line (top most line) there are 4 jumper wires of 3, 6, 6, 6 tracks in length. ground line (under the switches) there are 4 jumper wires of 4, 6, 6, 6 tracks in length. Now lets install the components and connect it all up. Note the small dot on the chip, this indicates pin 1. The chip should be oriented such that pin 1 connects through to the 440 Ohm resistor (R2). As the Nano has 2x15 pins and the socket 2x16 pins, care must be taken to place the Nano correctly. The Nano must be aligned so that the empty socket pins are on the right most pins of the socket as per the image above i.e. the Nano is mounted as close as possible to the opto-coupler. 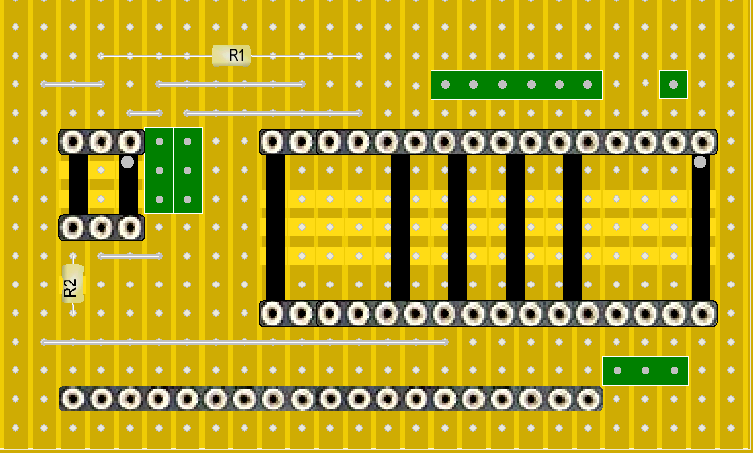 If you trace out the circuit you will observe that the 2x3 pin headers between the opto and the Nano expose a ground and power rail (left is GND, right is PWR). 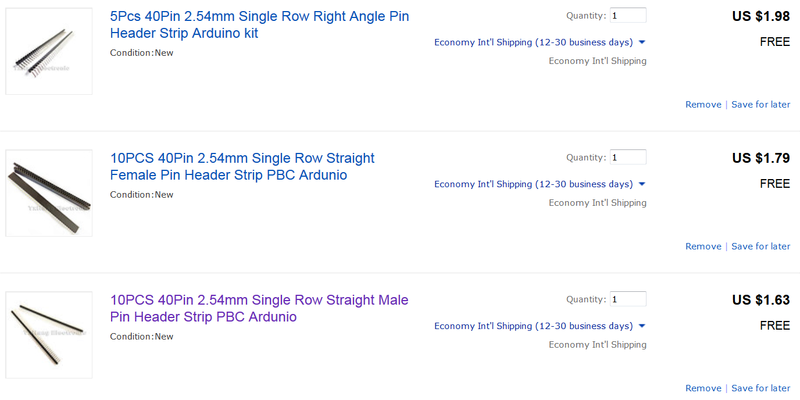 You will use these rails to provide power to the LCD, SD Card and Button breakout boards. You will need to break out 15 pins from a pin header i.e. have 15 continous pins. 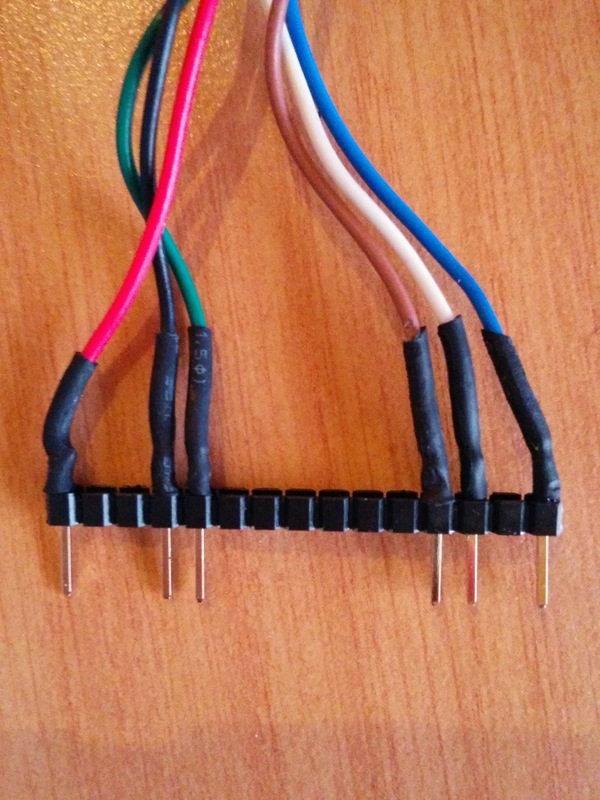 Remove all other non-connected pins: e,g, pins 2, 3 6-11 and 14. I recommend you heat-shrink the pins as above. PIN 1 (RED/MOTOR) is connected to the left-most pin of the female pin header. Now all that is left to do is flash the sketch to the Nano, disconnect it from USB, insert an SD Card with TAP files, connect the Tapuino to the C64 and enjoy! If you have directories on your SD card they will be indicated by an arrow in the right-most column of the LCD where the filename is displayed. Currently only 8.3 format names are supported. I will look into LFN names at a later date. Caution: Do not connect the Nano to both the C64 and PC. Also check all soldering very carefully for shorts before wiring up to your beloved machine! Hope you enjoyed this, it was a helluva post to write! One machine that I haven’t gotten hold of until recently is the venerable C64, the machine that I cut my coding teeth on. I first discovered binary when I needed to learn how to design sprites for C64 games and I can probably attribute some of my success in my career to this incredible device and learning platform. At any rate, a good mate of mine recently emigrated and bequeathed his childhood C64 to me (big up to Mr +Craig Bettridge for that). Along with the C64 came his Datasette, 1541 drive and several boxes of disks. Unfortunately no tapes, and the 1541 drive seems to require significant restoration. This left me with a C64 and nothing to load! Looking around the ‘net I found various solutions to this problem: The 1541 Ulitimate, SD2IEC etc. for disk emulation and the DC2N and devices similar to the Cassadapt for tape emulation. The 1541 Ultimate is an incredible piece of hardware but very expensive. Implementations of the SD2IEC also seem to be on the expensive side. The same goes for the tape emulators unless you look at the Cassadapt variety and those did not appeal. At this point I had decided to try and build something myself. 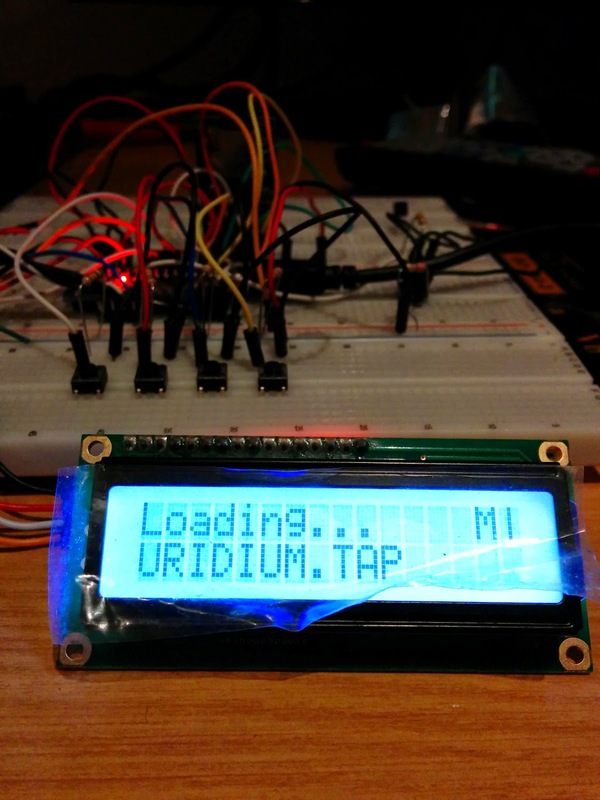 Inspired by the Uno2Tap firmware, I wondered if I could move the PC part of that solution onto an MCU and create something standalone. My grand goal was to try to build my own fully functional (at least in terms of playback) tape emulator and so the Tapuino was born. 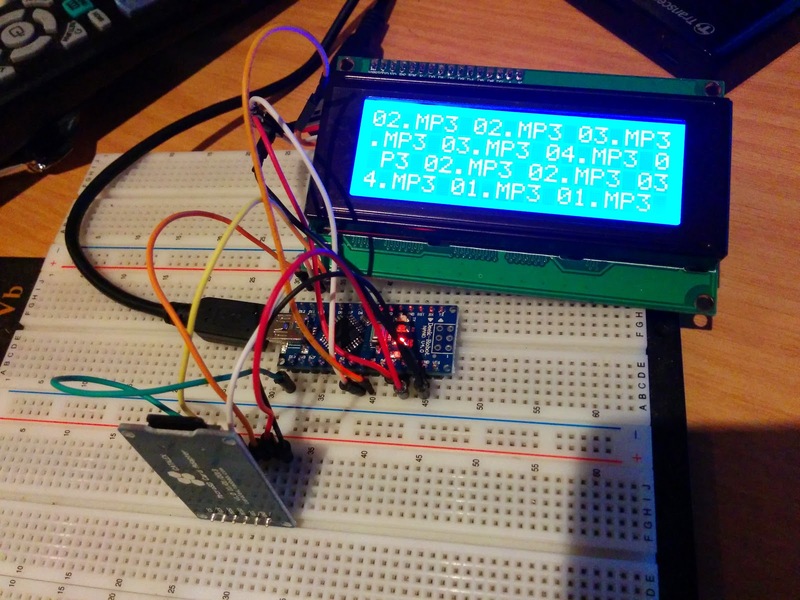 I’ve written firmware for various MCUs including the ATMega328 and so had a basis to start from which included having a good idea of the capabilities of the chip and how to interface it with an SD Card and LCD display. For SD Card access I used the amazing PetitFatFs library from Chan, which I modified to support the current directory code from FatFS (PetitFS’ bigger brother). As the LCD I chose came with an I2C backpack, interfacing to it was relatively easy and reduced the required pin count down to only 4 pins (which came in handy later on). 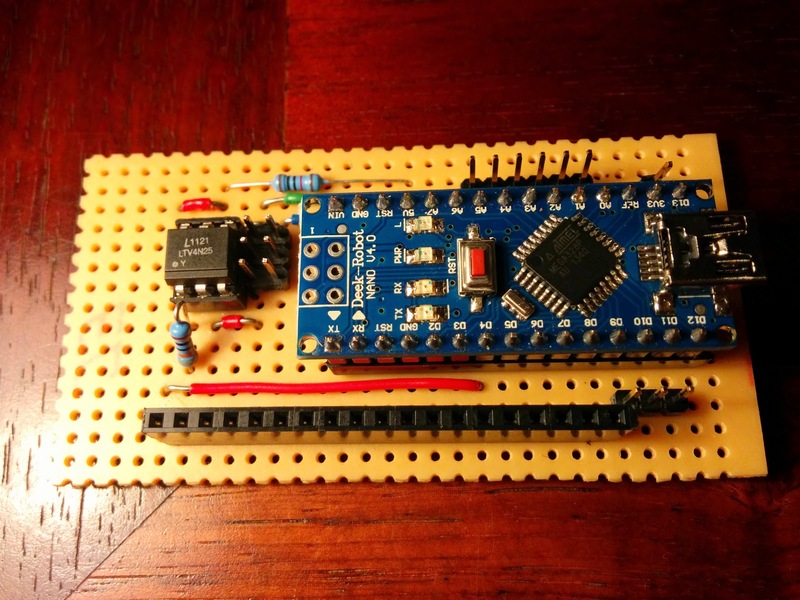 An alternative would be to use a shift register circuit, but at the price, an I2C solution was a no-brainer. 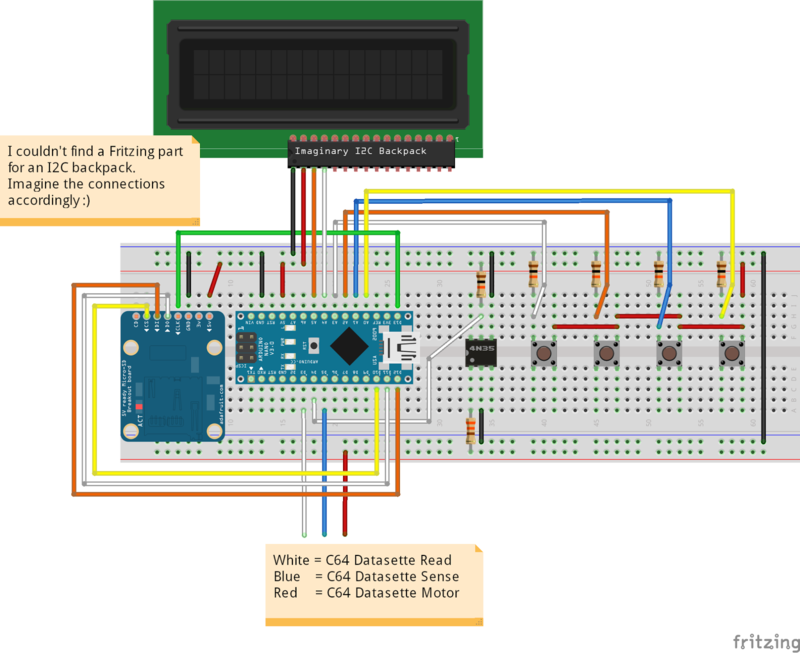 The most expensive part to source was the Datasette connector, which cost over $7 in single quantities from the usual parts suppliers. As I had an existing Datasette at hand I chose to remove the cable and use this. I am still looking for an alternative and inexpensive solution. 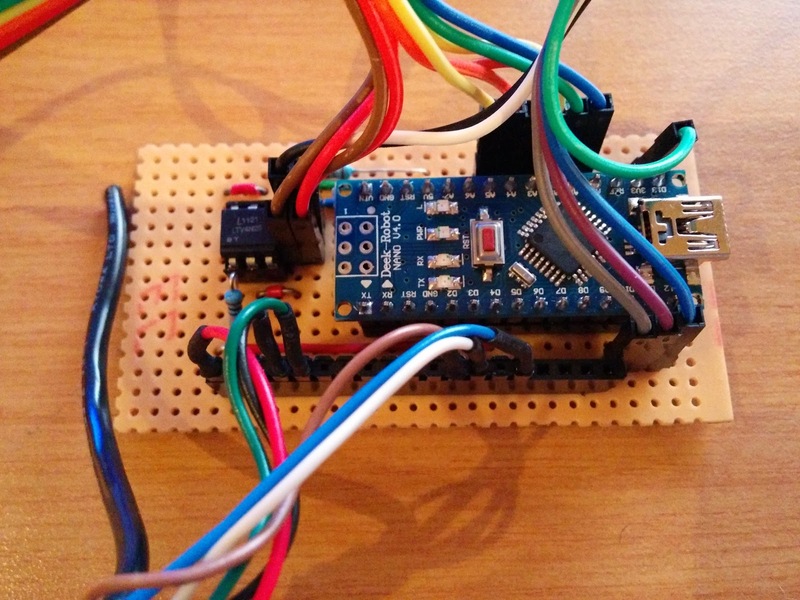 Now that I had the basics in place I wired up the sense, read and ground lines from the Datasette connector to the Nano and got the sense line working. From here on out there was a huge amount of firmware hacking and slog to get a game loading. 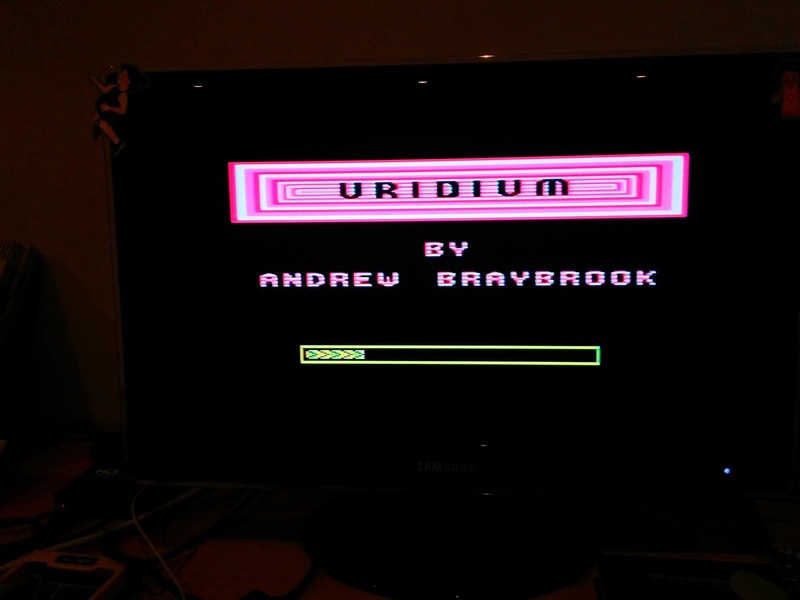 The first success was one of my favourites: Uridium, but while the game loaded flawlessly I couldn’t get anything else to load, specifically any Novaload games. First bitter / sweet success! 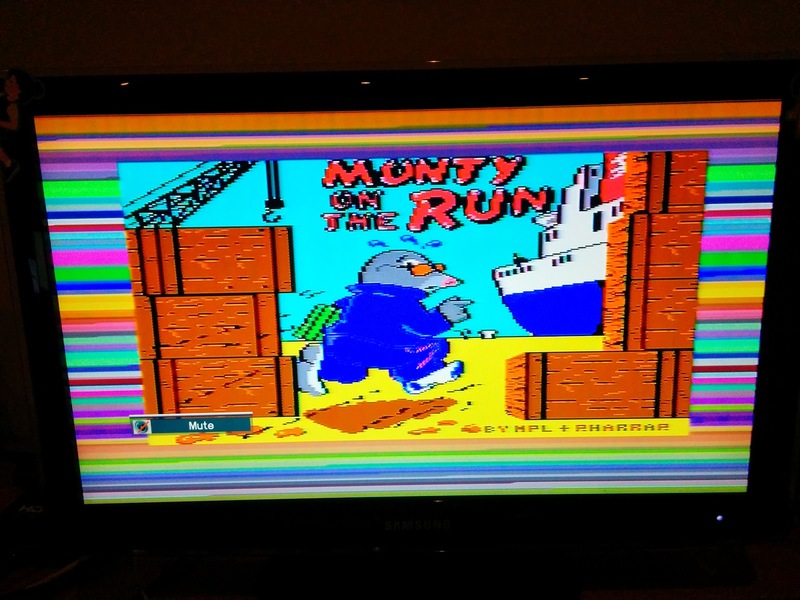 My test games were Monty On The Run and Monty Mole. This failure puzzled me for several days until after walking the code base repeatedly, I realised that I had left the SPI bus at half speed during initialisation! Basically what was happening was that the SD Card read was slow enough to cause a delay in the signal generation for fast loaders, resulting in all kinds of havoc. I hooked the motor line up to the Nano via a transistor switch. While this worked, current leaked via the transistor into the Nano causing the Nano to become powered via the input pin when the motor was on. This didn’t seem like a great idea so I switched to an opto-coupler which cleanly separated the signal from the Nano. Then came the headaches… The previously mentioned interrupt routine was altered to check the motor signal and exit if the motor was off. This worked… except for Rambo First Blood Part II. This game for some reason seems to switch the motor off before the TAP file is complete which in turn caused the main loading code to loop endlessly waiting for the TAP to complete (you get the picture). The current code has some rather “interesting” ways to mitigate this behaviour and I am not yet satisfied with the result. Unfortunately testing these outcomes is a rather laborious process when you take into consideration the length of a tape load. Finally I threw together some button reading code, polished up the interface a bit and the standalone unit was finally ready! 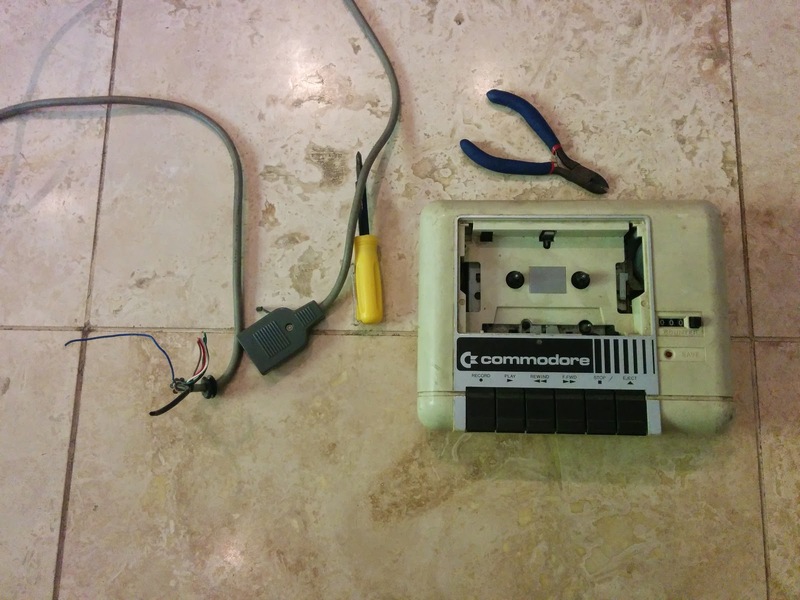 The next steps are to build a nice housing using a project box and find an alternative connector for the C64 Datasette port. However, that said, the code is functional if not clean and I’d be interested to see if anyone else would like to give this a go. Code can be found at https://github.com/sweetlilmre/tapuino on GitHub. Please feel free to send me a pull request if you have some suggestions on how to improve it. I would like to get to the stage where I can provide full instructions and a veroboard schematic so those less comfortable with the technical details can build one. 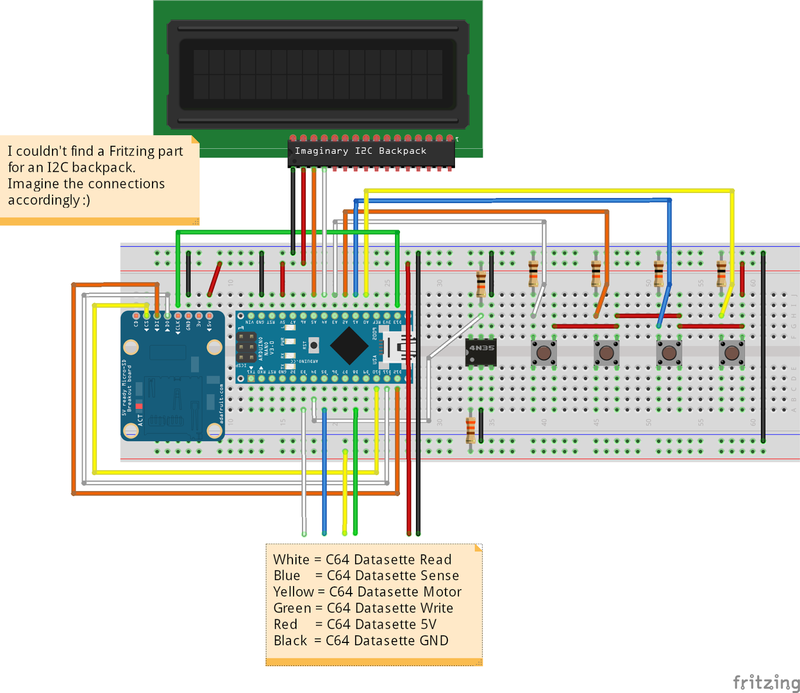 Here is a Fritzing diagram of how I wired things up, I think its correct, but there may be errors :).